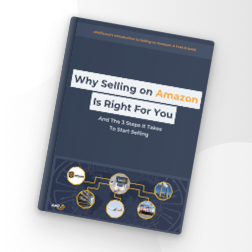 Wholesale on Amazon: Is it Right for You? There are actually several ways to make money on Amazon. One is retail arbitrage, where you buy items in retail stores and then sell them on another marketplace, like Amazon. Usually, items purchased in this manner are bought at a substantial discount. Another is private label selling. This is when you find a manufacturer to make a new, or improve an already existing product and put your own company logo on it to me sold to the masses under your company name. Finally, there is Wholesale, a process of buying items directly from a manufacturer and then selling them as a reseller on Amazon. This means you do not have to spend the considerable time and money to create, build, and launch a brand of your own. Instead you are buying from already established brands. How Do I Start Wholesale? Generally speaking, to sell as a wholesaler on Amazon you will need a wholesale license. Every state and country has their own licensing rules so first check on the requirements in your area. From there, spend time building up relationships with manufacturers. Strong relationships with manufacturers will be the lifeblood of your business! Maintaining those relationships is vital in creating, maintaining, and growing your business. The critical difference between private label and wholesale is that with private labeling, you are looking for a manufacturer to make your product concept or idea. That means you need to be able to create a marketable product or enhance one that already exists. Once that is accomplished, you then purchase inventory from the manufacturer and send it to the Amazon warehouse. With wholesale, you simply purchase a manufacturer’s existing products and sell them on Amazon. In theory, you could spend hours trying to research and decide which products based on this criteria. A much quicker and more effective solution is to use software like AMZScout Pro to refine your search. This software lets you do your research directly on the Amazon website while displaying the sales trends for products you may be interested in as well as competitors. Should I Be Wholesaling on Amazon? Amazon does over $150,000,000,000 in sales annually. While a number like that may tempt you to think that anyone can make money on Amazon without breaking a sweat, the competition for those dollars is fierce. Like any business opportunity, wholesaling has its own set of pros and cons. 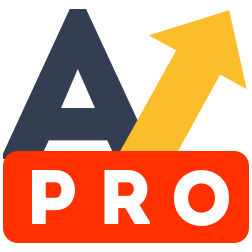 If after you review that list and still feel that wholesaling is right for you, why not give yourself the competitive edge that AMZScout Pro’s host of tools and data give you to succeed in this highly competitive marketplace.